From bump ’n’ grind to bumps n’ bruises, Ginger St. James has experienced it all. 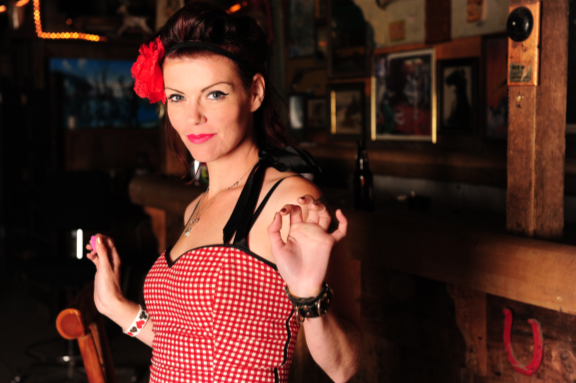 And now the former Les Coquettes and Steeltown Sirens burlesque queen is bumping up her popularity as a sassy and dynamic rockabilly singer, songwriter and guitarist, creating a national buzz with some slightly cheeky music and a captivating charisma fueled by her roaring voice and model beauty. However, it was the “bumps ‘n’ bruises” faction of her life that inspired the title of the Binbrook, Ont. native’s upcoming sophomore album: Diesel and Peas. 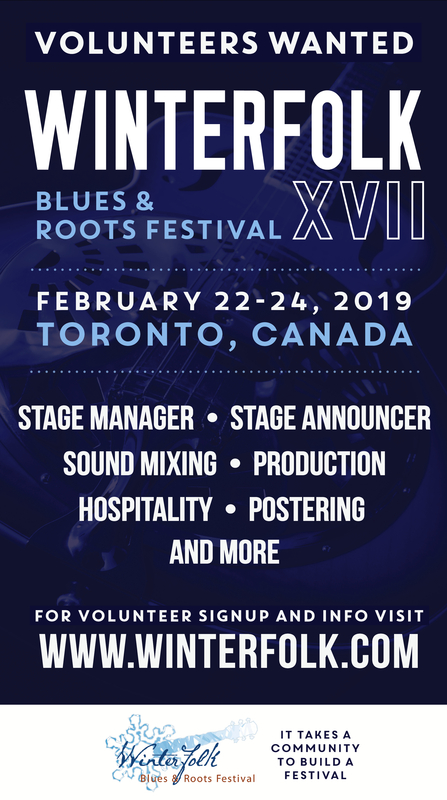 “The title refers to an old farmer’s remedy,” says St. James, who appears at the 12th annual Winterfolk fest Friday night with her Grinders at the Black Swan (154 Danforth Ave.). She belts out a hearty laugh over the phone. Although St. James’ experience was no laughing matter — as 16 stitches and a bruised pelvis might indicate — she turned the situation to her advantage, forging out a theme for the new self-produced project, a full-length follow up to 2010’s Spank, Sparkle and Growl EP and 2012’s Tease — all welcome additions to Hamilton’s diverse music scene. “I turned it into a metaphor, so whatever your injury may be, whether it’s the heart or a busted leg or you’re just down and out, there’ll be something in this album that can hopefully heal you in some way or another,” she explains, promising a healthy preview of the new stuff on Friday. In the meantime, the path that led her to infusing a little bit of theatrics in her performance began at an early age. “I grew up watching musicals with my nanny and granddad, so the theatrical aspect was sort of engrained in my head,” she admits. “But I’d also go to car shows with my dad, being a hot rod fanatic, so that type of ’50s and ’60s rock ‘n’ roll was always my favourite music from a very young age. Like many others, she received her first guitar as a teenager. But at age 20 her guitar was stolen, and St. James took an extended hiatus from music. Those burlesque days? Mainly behind her. Love at the Winterfolk, featuring Ginger St. James, Hotcha, Random Order and Swamparella. Friday at the Black Swan (154 Danforth Ave.). Doors 7 p.m. Tickets $10 in advance at winterfolk.com, $12 at the door. Offering a stage for Ginger St. James’ “a bit of naughty and a bit of nice” is Brian Gladstone, founder of Winterfolk. 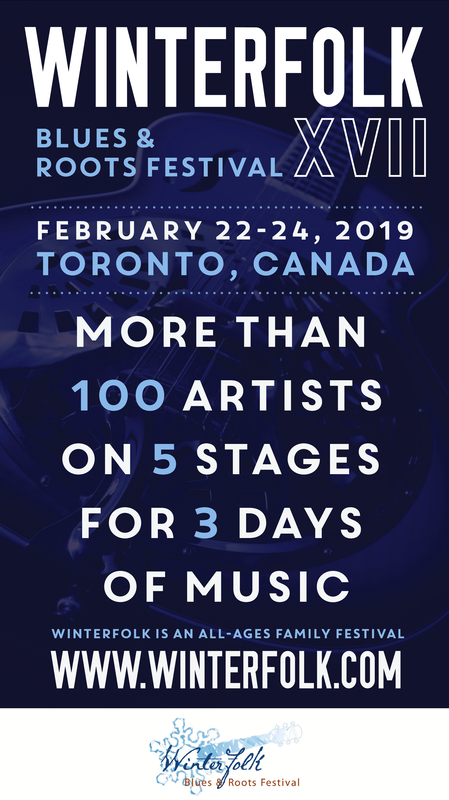 With 150 artists on five stages over three days, headliners include Ron Hynes, Hotcha, Lynn Miles, David Bradstreet, special tributes to Tony Quarrington and The Yorkville Scene, and more. Gladstone says this weekend’s return to the Danforth and Broadview area after a couple of years at downtown’s Delta Chelsea Hotel is an invigorating one. He says the appeal of folk music is universal. “I don’t think there’s anything unique to folk music. There are songs about community, social justice, making a difference in the world: I think there’s a common denominator amongst people, and I think it just sort of reaches out to everybody,” he says.